The Bluetooth in the Doggone tag uses GPS on nearby phones that have the Doggone App to create a sighting of your dog. 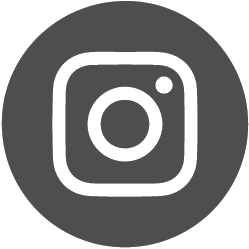 Check out our instructional videos that cover everything from turning on your Doggone dog tag through to marking your dog as missing in the App. We will continue to keep adding videos so please keep an eye out! Doggone is an innovative and sustainable technology-based solution for the quick and safe reuniting of you and your dog. Doggone offers the best of both worlds. The Bluetooth in the Doggone tag uses GPS nearby on phones (with the Doggone App) to create a sighting of your dog. This ensures the safety of your dog while tapping in to the efficiencies of GPS location technology. 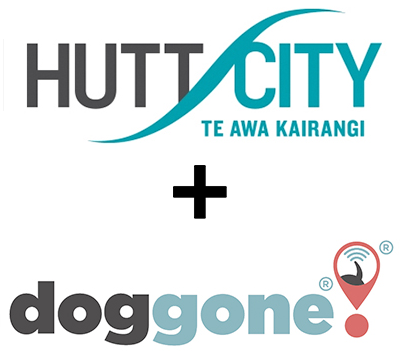 We are currently working with Councils around New Zealand to explore how Doggone could be integrated into the annual dog registration process to add even greater value for you, and even greater safety for your dog. 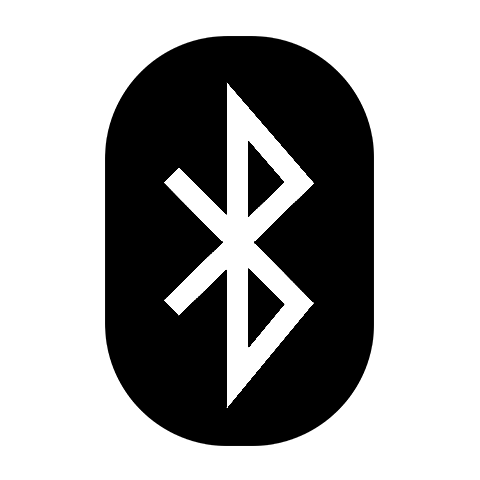 The Doggone Bluetooth dog tag acts as a beacon, sending out a signal every 5 seconds looking for a nearby phone with the Doggone App installed. When the dog’s tag and the phone’s App communicate, the GPS on the phone records a ‘sighting’. The ’sighting’ shows the location of the App (on the phone) at the time the tag and the App interacted. This sighting will have a date and time stamp created for it. 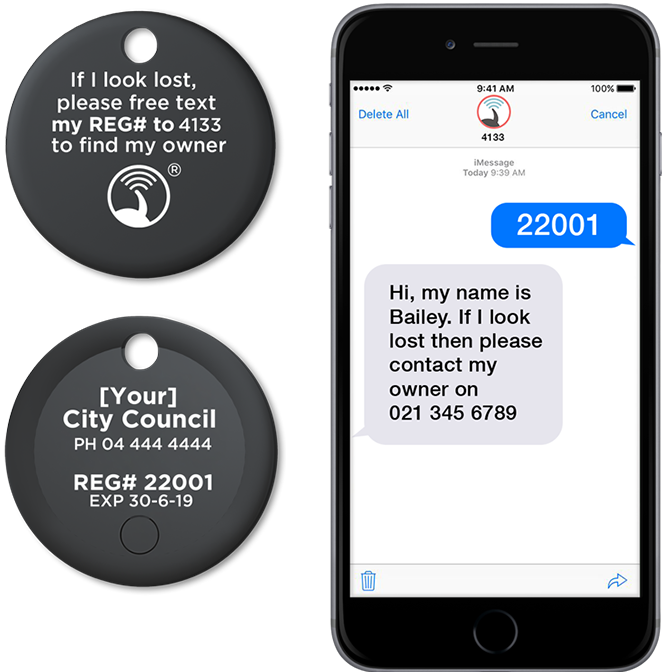 The dog tag and the App will communicate with one another when they are within a 60 metre range. This results in a location history – a bit like a bread crumb trail – being created for your dog. Dog owners create a Virtual ID for their dog which allows sightings of their dog to be sent to them. 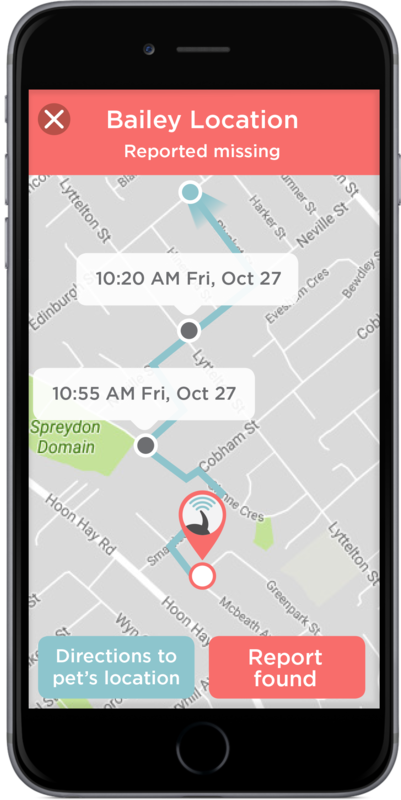 You can use the App to check your dog’s whereabouts, mark it as lost if it escapes and receive real-time location updates of where it has been sighted. When you mark your dog as lost on the Doggone App your local animal control team will be notified, so they, too, can help to quickly reunite you with your dog. 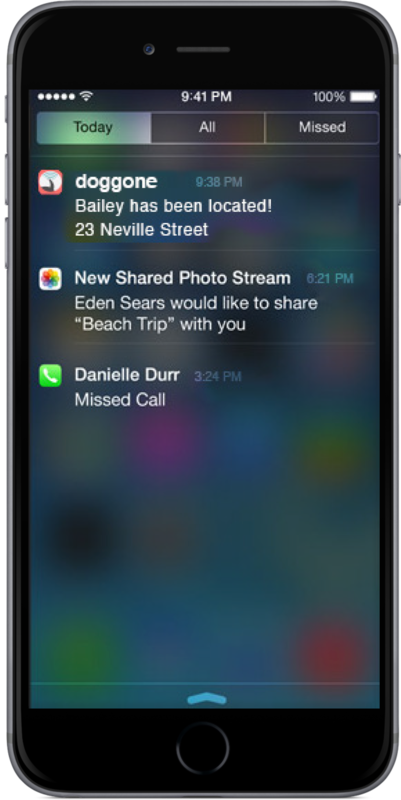 You will also receive real-time notifications if someone sees your dog out alone and marks it on the App as a wandering dog. The Doggone registration tag also has a unique registration number engraved on it, so if someone finds your dog they can access the owner’s emergency contact number by texting the dog’s registration number to free text 4133. 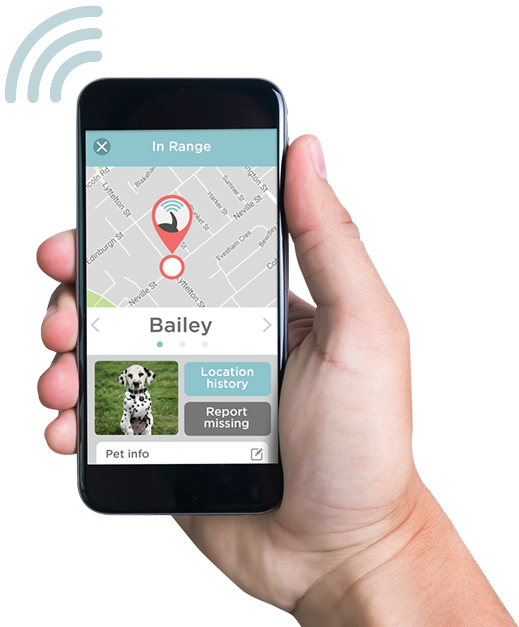 Doggone’s innovative IT-based solution has been specifically designed to help reunite dog owners with their lost dogs – quickly, efficiently and safely. As a dog owner, you can allow access to your dog’s location to someone else who also cares for your dog (family, friend, dog walker, boarding kennel etc). They simply download the free Doggone App on their smartphone and then login using the main account holder’s email address and password as shared by you. A virtual ID is simply an ID that is stored in the Cloud – as opposed to written down somewhere. Your dog’s virtual ID profile is created by you, its owner, and is stored by Doggone in the Cloud. When creating your dog’s ID profile, you simply enter information about your dog that would help you be reunited with them. 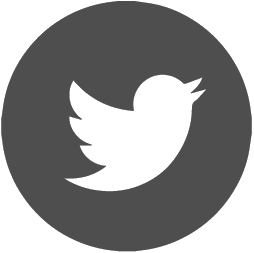 Some of the fields within the profile are mandatory (e.g. dog’s name, owner’s phone number). 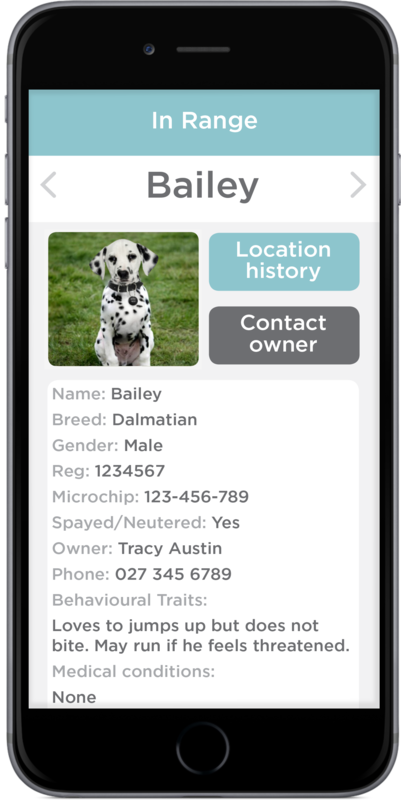 You can update your contact details and/or your dog’s details at any time on the Doggone App. Updated information is live immediately. If you have a need to remain anonymous, or if you don’t have a cell phone, you can nominate an alternate contact on your dog’s profile, or opt to select your local Council animal shelter. No third party has access to any information about your dog or its location, other than you. Virtual IDs are password protected, and Doggone is fully compliant with the Privacy Act. Participating Councils will send you a Doggone Bluetooth tag as part of your annual dog registration. It is lightweight and robust, with a toughened outer casing. The tag is fully sealed, waterproof (to IPx7 standard) and does not require battery replacement. The tag contains a Bluetooth chip which allows it to connect with the Doggone App via Bluetooth. You do not need to sync the tag with your phone as it does it automatically. This ensures that every phone with the Doggone App downloaded is able to look out for your dog, and not just your phone. 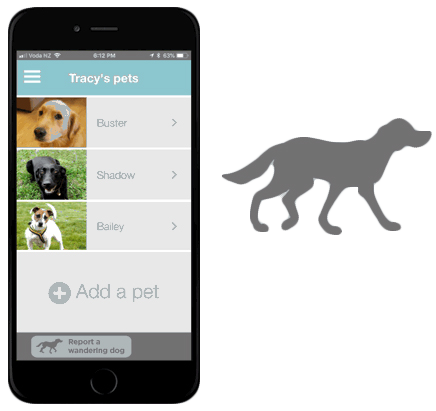 Doggone uses iBeacon, which is compatible with both iPhone and Android technologies. The Bluetooth dog tag also links with your virtual ID created as part of the annual dog registration process. The tags are coloured to comply with the Dog Control Act colour specifications. 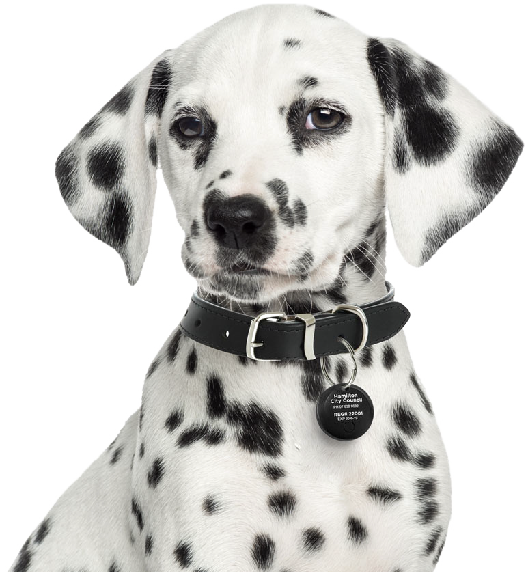 The Doggone tag uses Smart Bluetooth 4.2 (low energy) which means it’s safe for your dog to wear. The dog’s registration number, expiry date, and the corresponding Council and its phone number are engraved on one side of the tag. On the other side of the tag is a message to FREE-text your dog’s registration number to 4133 if your dog looks lost. By doing so, the emergency contact phone number that has been nominated by the dog’s owner is made available. 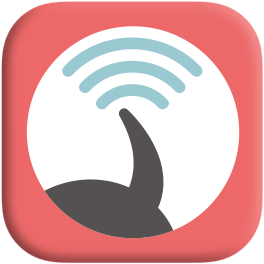 The Doggone App is free and very simple to use. It doesn’t need to be open to work so it’s not constantly drawing on your precious phone data or battery life. However, Bluetooth and location do need to be ON in both your phone’s settings and in the Doggone App, to ensure that you receive any information about your lost or wandering dog. 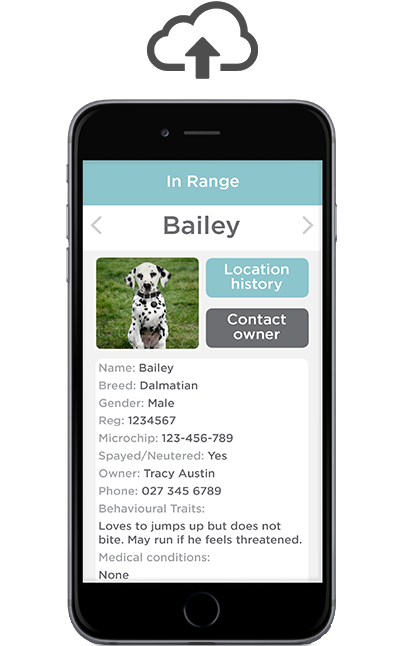 The Doggone App is available for anyone to download – dog owner or not! 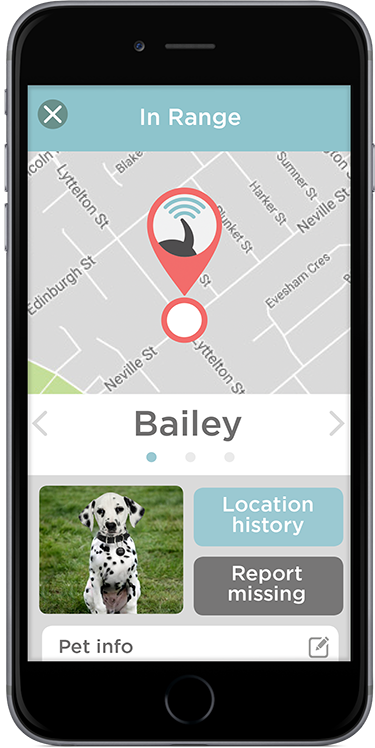 Simply by having the App downloaded, they can passively help owners be reunited with their lost dogs. They can simply download the App on to their phone to act as a ‘receiver’ for any dog tag ‘beacons’ they come in proximity with. However, they will need to register an account if they want to use the ‘report wandering dog’ feature. 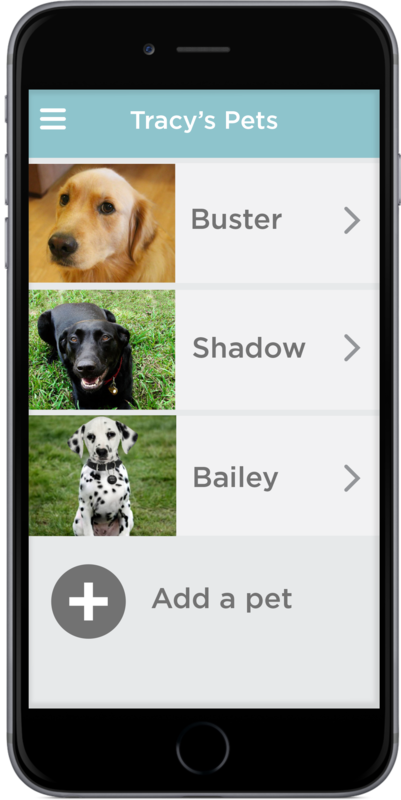 View all of your dogs within the one App. Mark your dog as lost. When you mark your dog as lost, your local animal control team will be notified so that they can help you look for your dog too. 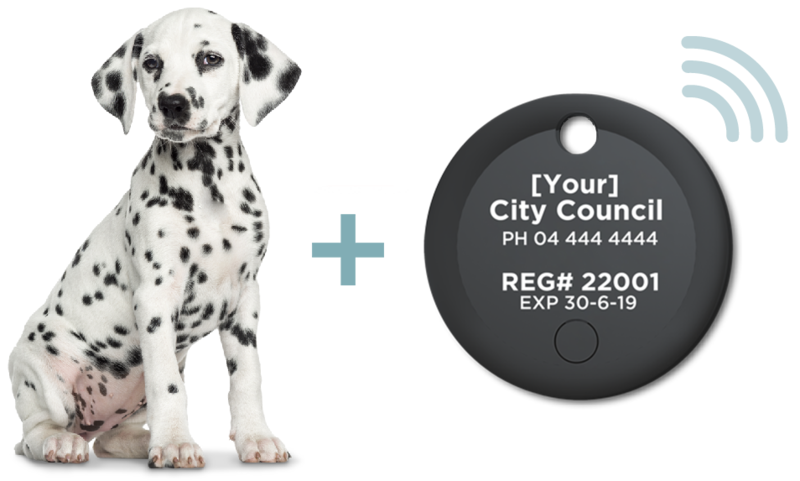 Anyone can FREE-text the 5 digit registration number engraved on your dog’s Doggone tag to 4133, whether they’ve got the Doggone App on their phone or not. By texting your dog’s registration number to 4133 they will receive the emergency contact number, as provided by you when you set up your dog’s virtual ID profile. To help all members of the community reunite you with your dog, the Doggone App has a ‘Report a Wandering Dog’ button. By simply clicking on this button, a photo appears of all nearby dogs wearing a Doggone Bluetooth tag. Verification of the dog’s identity will be required via the photos displayed. If a photo of the wandering dog does not appear, it’s either because the dog is not wearing a Doggone tag or its owner has not yet created a profile for the dog on their App. 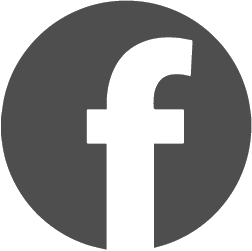 Anyone with the Doggone App on their phone can use this function – dog owner or not.